We advice caution when travelling to Saudi Arabia. 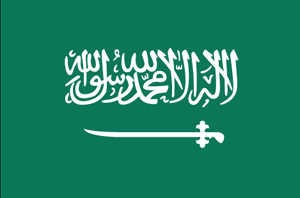 Saudi Arabia is a country in Asia (Western Asia) with around 29 million citizens and a land mass of 1,960,582 km². We detected travel advisories from 6 sources for this country. Saudi Arabia shares land borders with 7 neighbouring states. For this country, the Danger Index is 2.9 (average value for all countries). All countries habe been reported as somehow dangerous: Yemen (5.0), Iraq (4.6), United Arab Emirates (2.4), Jordan (2.4), Kuwait (2.4), Qatar with (2.0) and Oman with (1.8 of 5). See danger map of the region. Exercise increased caution in Saudi Arabia due to terrorism and the threat of missile and drone attacks on civilian targets. Do not travel to: Within 50 miles of the border with Yemen due to terrorism and armed conflict. Terrorist groups continue plotting possible attacks in Saudi Arabia. Terrorists may attack with little or no warning, targeting tourist locations, transportation hubs, markets/shopping malls, and local government facilities. Terrorists have targeted both Saudi and Western government interests, mosques and other religious sites (both Sunni and Shia), and places frequented by U.S. citizens and other Westerners. Rebel groups operating in Yemen have fired missiles and rockets into Saudi Arabia, specifically targeting populated areas and civilian infrastructure; they have publicly stated their intent to continue doing so. Missile attacks have targeted major cities such as Riyadh and Jeddah, Riyadh’s international airport, Saudi Aramco facilities, and vessels in Red Sea shipping lanes. Rebel groups are also in possession of unmanned aerial systems (drones) which they have used to target civilian infrastructure and military facilities in Saudi Arabia. U.S. citizens living and working on or near such installations, particularly in areas near the border with Yemen, are at heightened risk of missile and drone attack. The U.S. government has limited ability to provide emergency services to U.S. citizens in the following locations as U.S. government personnel and their families are restricted from travel to: Within 50 miles of the Saudi-Yemen border, including the cities of Jizan and Najran; Qatif in the Eastern province and its suburbs, including Awamiyah; and Hofuf and its suburbs in the al Hasa governorate. Read the Safety and Security section on the country information page. The Ministry for Foreign Affairs and Trade Promotion advises Maltese nationals travelling to Saudi Arabia to exercise caution, due to tensions in the surrounding regions. Moreover, the Ministry advises against all travel to within 10km of the border with Yemen and against all but essential travel between 10km and 80km of this border. The border between Saudi Arabia and Yemen is continuing to experience clashes, which are resulting in both military and civilian casualties. Missiles have been fired from Yemen into Saudi Arabia, with the most recent one in May 2018. We’ve reviewed our travel advice for Saudi Arabia. We haven’t changed the level –reconsider your need to travel. Higher levels apply in some areas. This regional advisory from the Australian government covers:Areas within 30 kilometres of the border with Yemen.